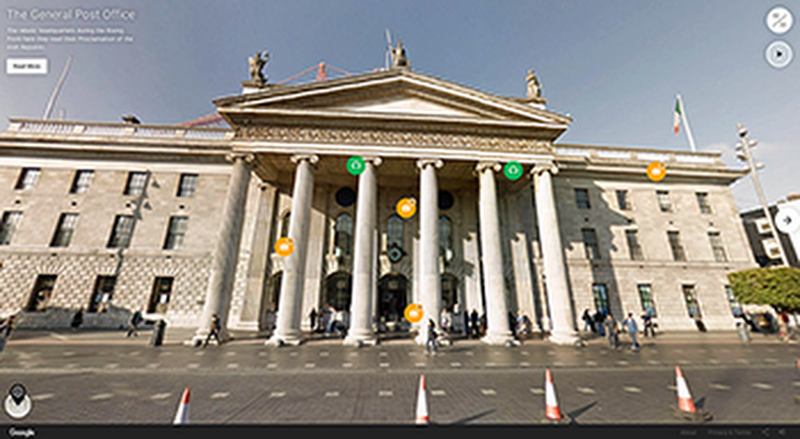 Editor's note: To mark the centenary of the Easter Rising in Ireland, we have launched ‘Dublin Rising 1916-2016’, an interactive Google Street View tour which lets visitors virtually explore the city streets, events and people that shaped history 100 years ago. We’ve invited the Irish Minister for Arts and Heritage Heather Humphreys, TD, to write a guest post for the Google Europe blogexplaining the partnership. In 2016 Irish people at home and abroad will mark the centenary of the 1916 Easter Rising, when Irish people fought for their right to self governance. The Rising had a transformative impact and is recognised as the catalyst that ultimately led to the modern Ireland we have today. The Ireland 2016 Centenary Programme includes more than 2,000 events in Ireland and another 1,000 internationally. Throughout we will remember our shared history on the island of Ireland; reflect on our achievements over the last 100 years and look ambitiously to our future. In Dublin Rising 1916-2016, which has been launched by the Taoiseach (Prime Minister) of Ireland Enda Kenny, TD, today, Google is using its technologies to creatively enable millions of people around the world to share in Ireland’s 2016 commemorations and learn more about the events of 1916 right from their phone, tablet or computer. This interactive Google Street View tour will allow visitors to virtually explore the city streets, events and people who shaped history 100 years ago. The tour, which is narrated by actor Colin Farrell, will bring visitors on a virtual tour around the Dublin of today, with the Dublin of 1916 overlaid. Throughout the tour, visitors can stop at city centre locations in Dublin as they are today, hear what happened there and click to explore photos, videos and witness statements from the people of 1916. As a person stands looking at the General Post Office of today, for example, they’ll be able to see the General Post Office as it was 100 years ago, destroyed by shell fire. They’ll hear witness statements from rebels who fought there and hear the stories of all the different people involved. President Michael D. Higgins recently said that the centenary offers all of us an opportunity to reflect on events of the past, so that we can build a future that honours the promise of equality and inclusiveness contained in the 1916 Proclamation. 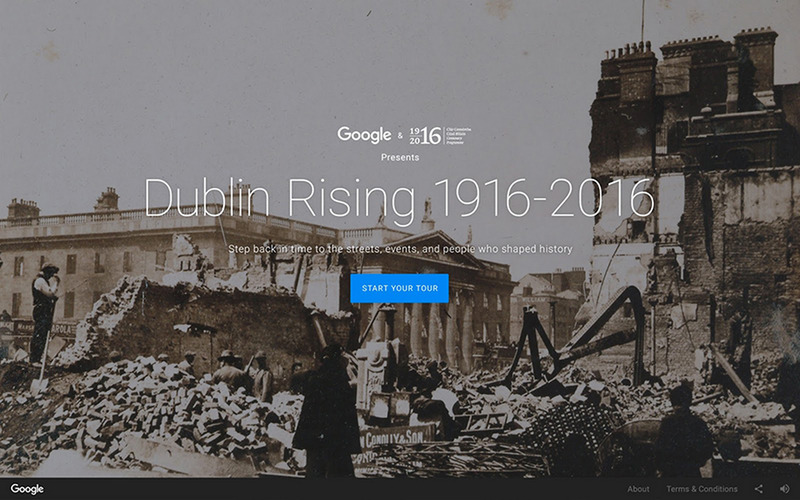 I want to thank the Google team, together with the historians and experts from Ireland 2016 and Century Ireland who through Dublin Rising 1916-2016 have made our history accessible and are providing everyone with the opportunity to remember our past while celebrating our present and looking forward to the future.